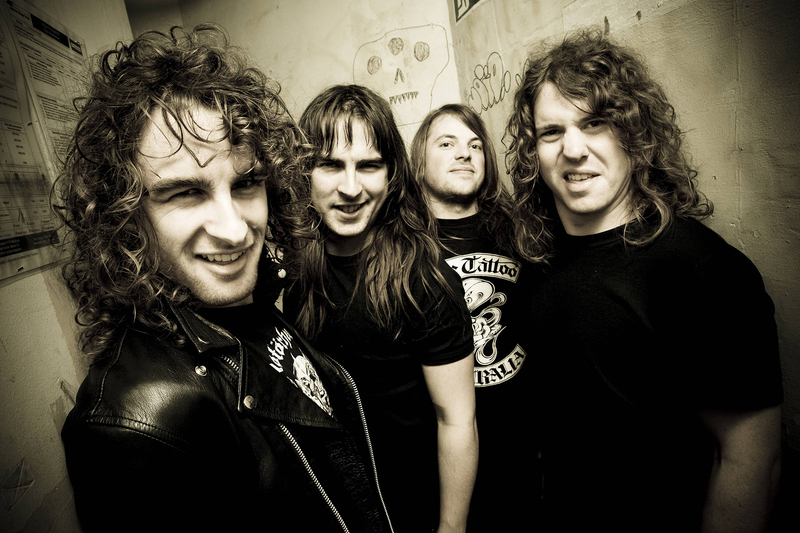 Airbourne formed in 2003 as a hard rock band hailing from the Victorian town of Warrnambool, populated by 32,000 people. At a very early age Joel ‘O Keeffe’s main interest was listening to the albums that he had stolen from his uncle which included bands like Rose Tattoo, AC/DC, The Angels, Billy Thorpe and The Aztecs and Cold Chisel. By the tender age of 11 Joel had picked his first guitar trying to emulate his Oz-rock idols. Joel’s younger brother Ryan was paying close attention to Joel’s hobby and soon after he was under the same spell as his brother. Ryan started playing drums at the age of 11 and started rehearsing with his now 15-year-old brother much to the delight of their neighbours who was constantly calling the cops due to the noise. Joel met David Roads when the two worked at the Hotel Warrnambool. The pair brought their guitars back to work and started jamming after their shifts ended. 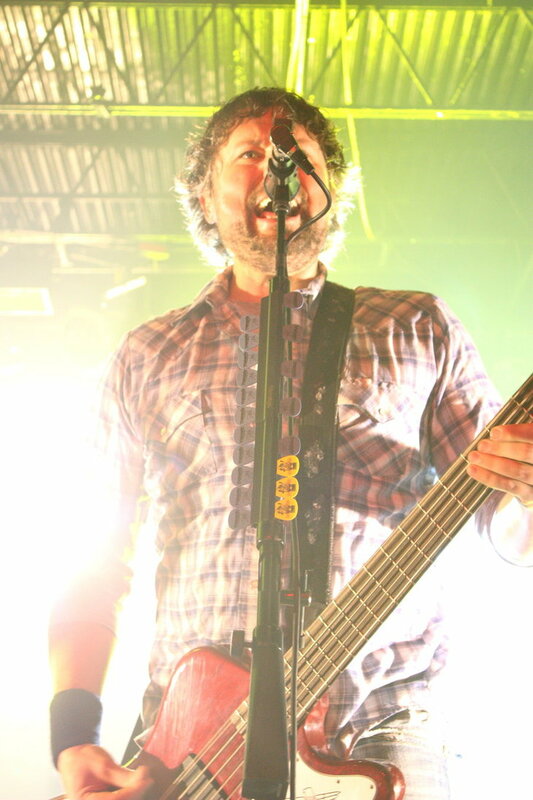 Bassist Justin Street was recruited in 2003, whom Ryan met after stumbling home after a party one night. Turns out he was interested in moving to Melbourne with the band. It would be another nine months before the band would make the permanent move to Melbourne, so in the meantime they had to drive to the capital to play shows as regularly as they could, often returning to Warrnambool as the sun was coming up with $25 to their name and a full day of school stretched out before them. They were exposed of the realities of what it would be like to be a working rock ‘n roll band in Australia. In early 2005 the band relocated to Melbourne. The band found a four-bedroom home and started playing gigs relentlessly. Ryan claims that they attacked Melbourne putting up a posters for every gig they were playing and if it got ripped off they will just replace it. They had to walk, because they couldn’t afford a car. In March 2004 the band won a state-wide band competition Push-On in Melbourne. The band recorded an eight-track extended play Ready To Rock which appeared in July 2004 as an independent self-funded release. In August, they signed a five album record deal with Capitol Records. According to Joel while the band were living in a shared house they threw a party and while listening to a Krokus CD a blown fuse resulted in a fire burning the back part of the house. Gigs at Melbourne pubs became stadium shows and the band even supported The Rolling Stones and Motley Crϋe. Given that the band had only released one EP (Ready To Rock) it was an amazing feat. National tours with the likes of Dallas Crane, Jimmy Barnes, The Living End, You Am I and Magic Dirt helped further hone their rowdy live show. A main stage slot at the 2006 Big Day Out festival cemented the band’s role as one of the country’s fastest rising bands. Airbourne always go on stage to try to prove to the public and their audience how good rock ‘n roll music is. 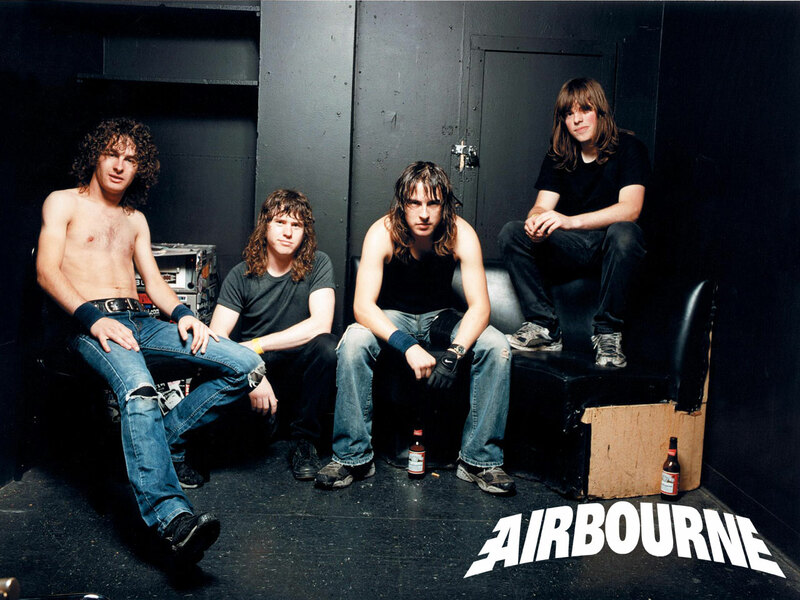 In 2006 Airbourne got their big break after they started to receive a lot of attention from international record labels. 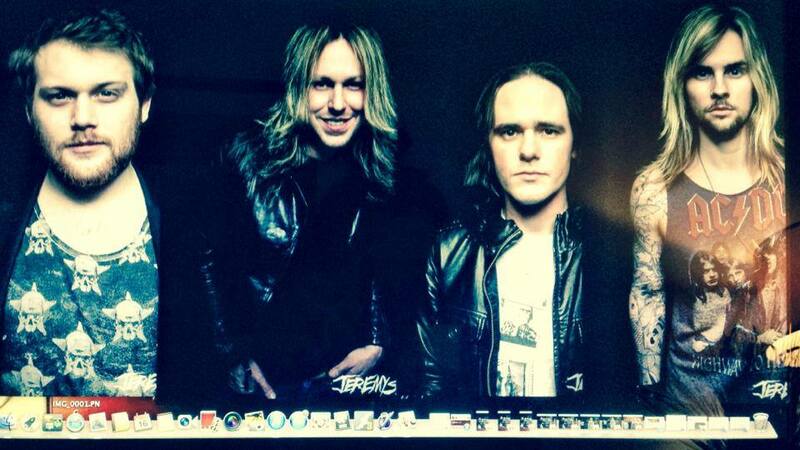 They relocated to the States to start working with legendary producer Bob Marlette. 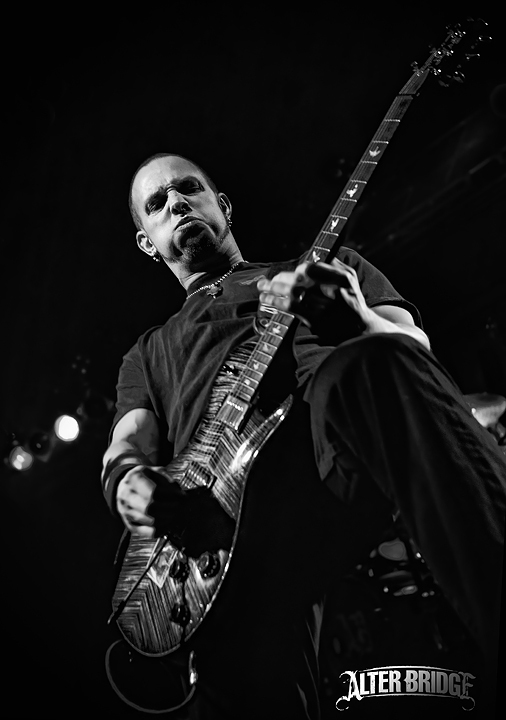 His credits include albums by Black Sabbath, Alice Cooper and Shinedown. Airbourne started with a lengthy pre-production stint narrowing down 40 songs to only 11 songs which would eventually appear on “Runnin Wild“. The band enlisted Andy Wallace (Guns N’ Roses, Nirvana, Linkin Park, Slipknot) to mix the album to make sure that their immense live energy translated to CD. Runnin Wild released in Australia on the 23rd of June 2007. In February Capitol Records had cancelled their contract with the band, but their album was still issued in Australia through EMI. In 2007 Airbourne attracted the attention of Roadrunner Records’ A&R man Ron Burman in New York and secured a worldwide record deal in July. 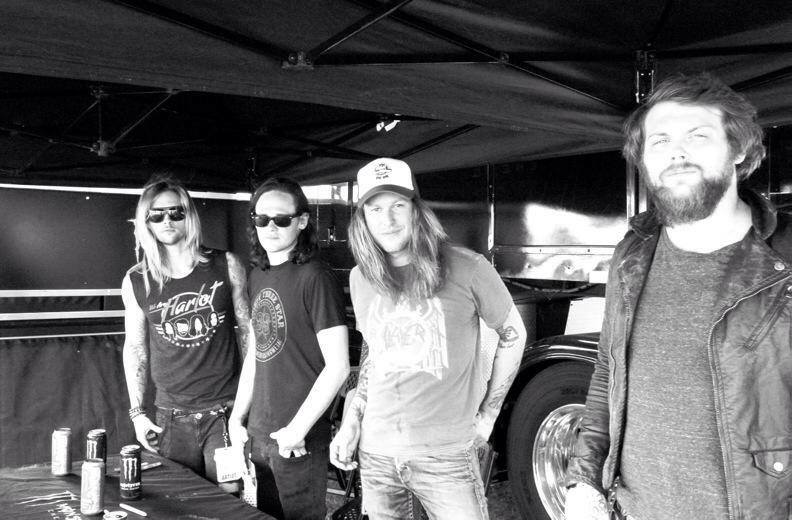 During late 2007 , the group toured the United States supporting Kid Rock and Korn. In September 2007, they issued a five-track live extended play “Live At The Playroom“. Runnin’ Wild was issued in North America, Europe and Japan in January 2008, after which they relocated permanently to the US. The album reached the Top 100 on the UK albums chart and appeared on the Billboard 200. In November at the Astoria in London, Dan Hawkins (Stone Gods/The Darkness) joined Airbourne played the AC/DC song “Whole Lotta Rosie”, Hawkins played Joel’s guitar while Joel sang without any guitar. One of Ryan’s ears blew out, because he had his headphones on too loud! So he recorded the album with the use of only one ear. 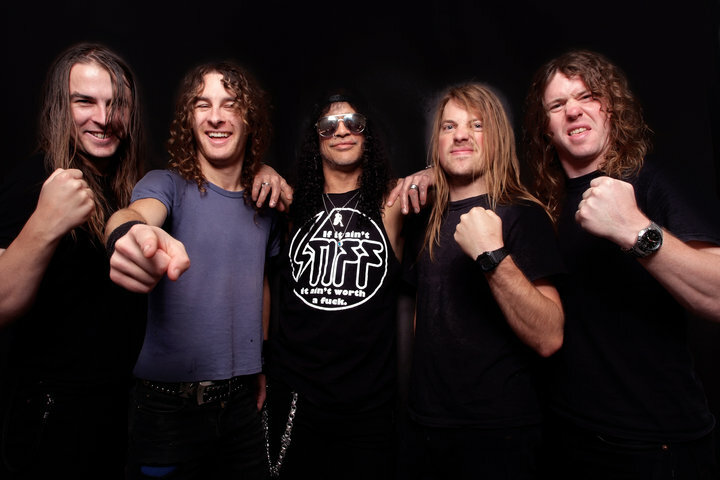 In January 2009 David Roads confirmed that Airbourne would enter the studio to start recording their second album No Guts. No Glory. The album was produced by Johnny K, mixed by Mike Fraser and was released on 8 March 2010 in the UK, Europe, Canada, Japan, Australia, New Zealand and released on the 20th of April in the US. The album reached the top 20 on the ARIA Albums Chart, and top 20 on albums charts in Austria, New Zealand, Finland, Greece, Sweden and Switzerland. In the UK the album peaked at No. 31, while on the US Billboard 200 it reached the top 100. 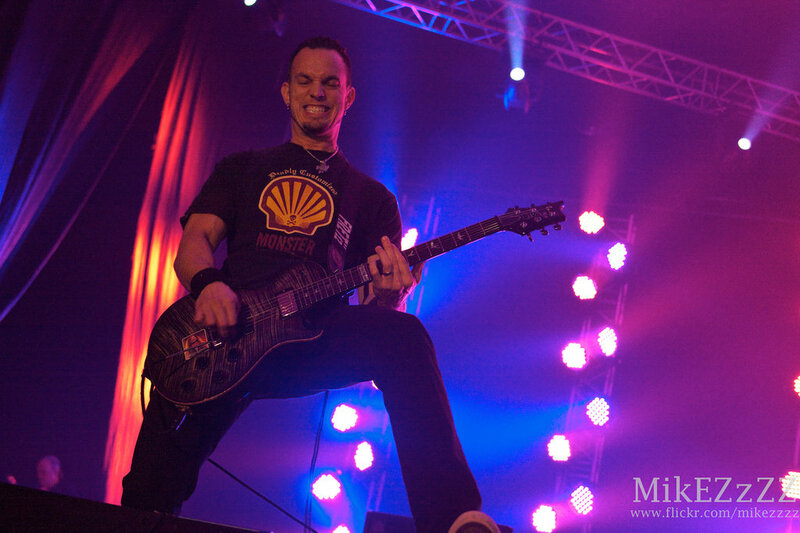 The band went on a UK Tour supporting Iron Maiden on their Final Frontier World Tour from July to August 2011. In November 2011 it was announced on the band’s official Facebook page that the band had started working on a new album mid-2011 and that updates were to follow soon. The album’s name Black Dog Barking was revealed in early February 2013 on their Facebook page. The album was released on the 21st of May 2013 via Roadrunner. The cover artwork was created by Australian artists The Sharp Brothers who also created the cover artwork for the No Guts. No Glory. album. According to David Roads , the idea behind the album title was to use the black dog as a metaphor for the bands’ ability to break the rules. At the end of 2013 the band toured Europe and supported, among others, Swedish band Corroded. Airbourne’s music carries a distinct 80’s rock flavour which is really unique in today’s market. 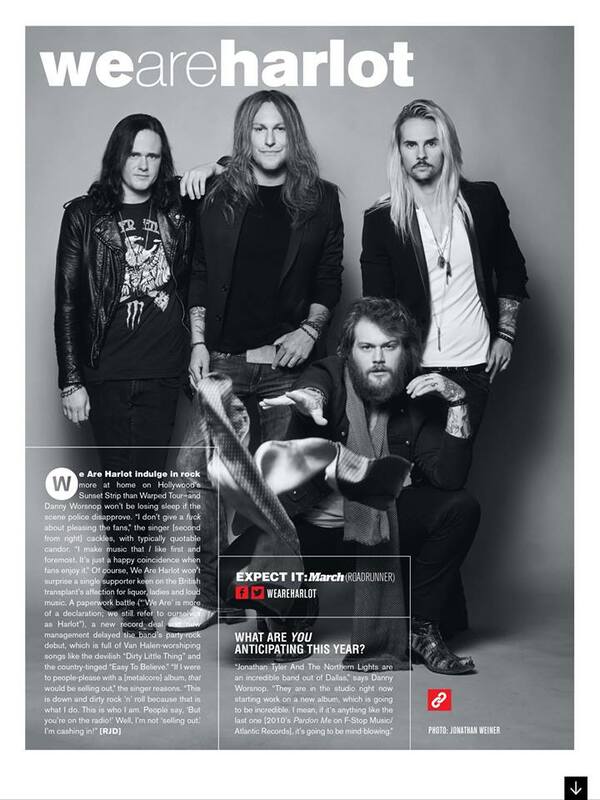 They are a passionate, determined band, which they convey through their energetic live performances. 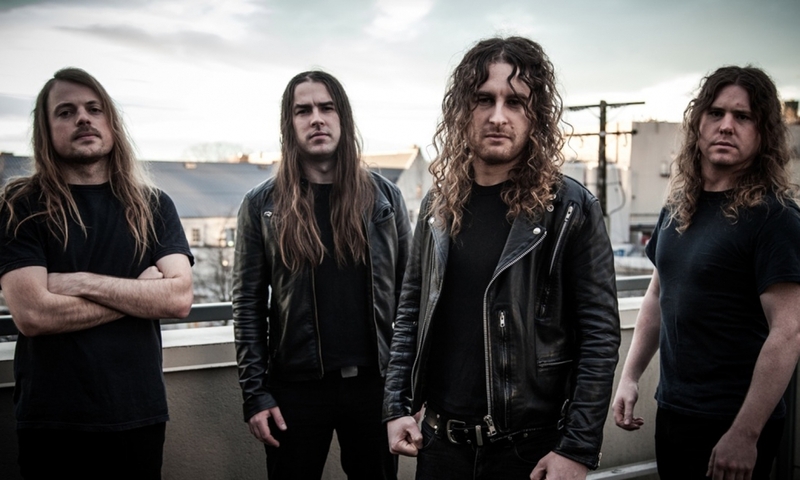 Airbourne draws inspiration from classic rock bands without being false. The band is keeping the spirit of classic rock alive in the 21st century. 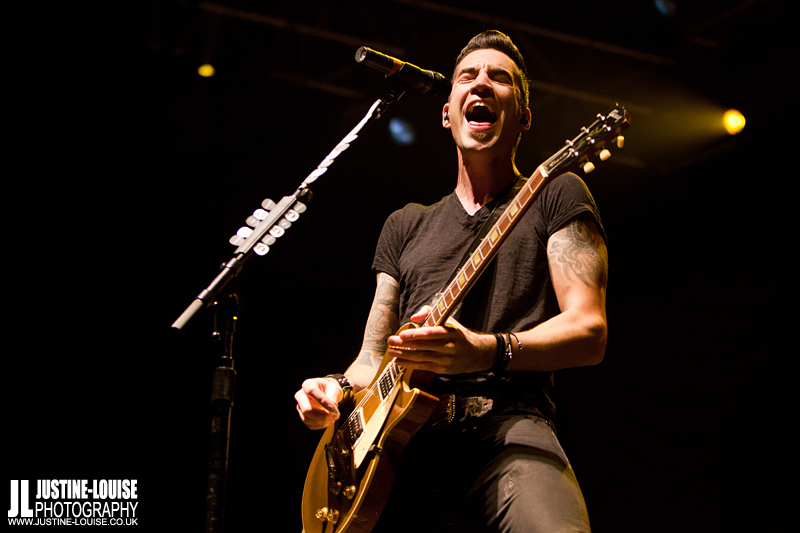 Theory of a Deadman originated in Canada, more specifically in Vancouver. The band was formed in 2001. The band’s name originated from a song title with the same name that was featured on their debut album, the song was later renamed “The Last Song“. The lead singer/guitarist for the band Tyler Connolly slipped a copy of the band’s demo to Chad Kroeger at a post-concert party. Chad Kroeger obviously saw some potential in the band as they were the first act that got signed to Chad Kroeger’s record label 604 Records. On the band’s demo was the song which would later become the “Invisible Man”. The band’s self-titled debut album was released on the 17th of September 2002. Their music stayed within the grunge genre, but delivered powerful songs like “Make Up Your Mind” and “Nothing Could Come Between Us” both of which was released as singles. On the 29th of March 2005 the band released their second album “Gasoline”, slowly moving away from their grunge sound by incorporating more pop-and country influence into their music. Four singles from “Gasoline” landed onto the Mainstream Rock Chart and the album cracked the Top 60 of the Billboard album chart. After the release of the album the band toured with Shinedown and No Address. 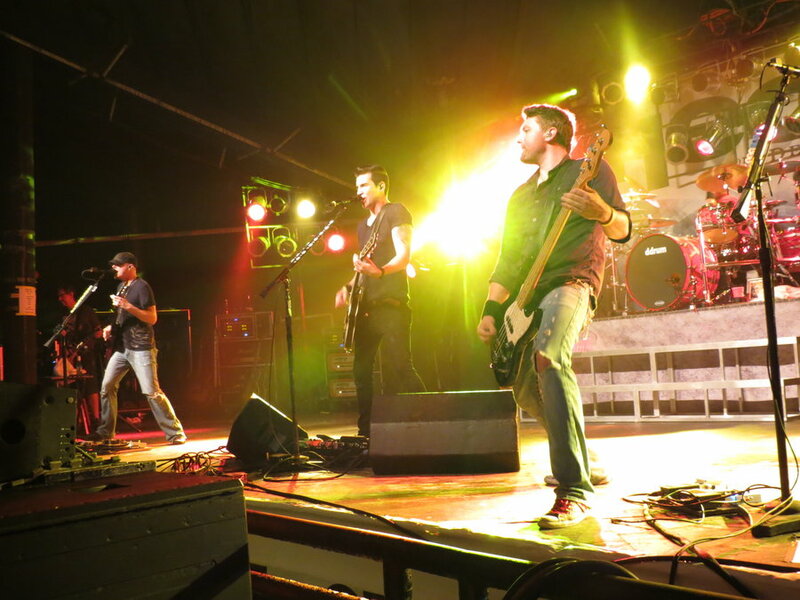 Theory of a Deadman went on a promotional tour in the same year which was headlined by Breaking Benjamin and The Exies. The band performed the theme song to World Wrestling Entertainment’s No Way Out’s pay-per-view in 2006 a cover version of “Deadly Game” from the WWE Anthology album. The song was released on WWE Wreckless Intent album. They did a cover of “No Chance In Hell” which is Vince McMahon‘s theme song, the song was released on WWE The Music Vol. 8. on the 25th of March 2008. The band performed the theme song for the 24th Annual WWE Summerslam. On the 1st of April 2008 Theory of a Deadman released their third studio album Scars & Souvenirs which delivered 8 singles namely “So Happy”, “By The Way”, “Little Smirk“, “Bad Girlfriend”, “All or Nothing”, “Hate My Life”, “Not Meant to Be” and “Wait for Me”. “By The Way” features backing vocals from Daughtry band members Chris Daughtry and Robin Diaz. With this album the band developed their own unique sound a little more with daring lyrics and flashier sound. Theory of a Deadman attended the Juno Awards in Calgary, Alberta after taking part in a promotional tour across Canada called Journey To The Junos. Theory of a Deadman performed in the 96th Grey Cup halftime show on the 23rd of November 2008. 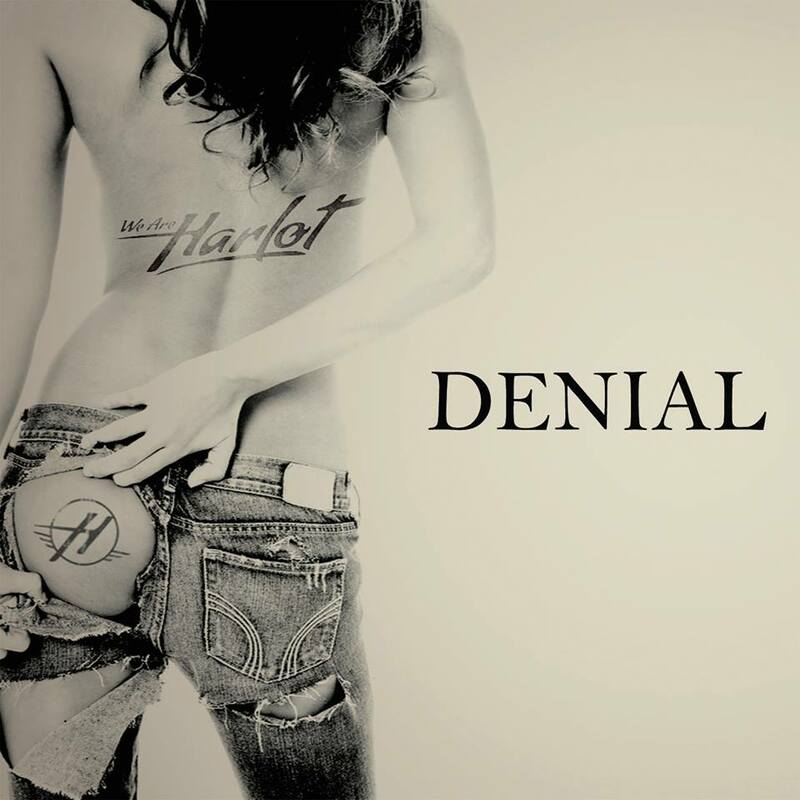 Hinder and Theory of a Deadman supported Mötley Crüe during the fall 2008 /winter 2009 tour as well as Crüe Fest 2. On the 9th of April 2009 Scars and Souvenirs was certified Gold by the RIAA with 500, 000 copies sold in the US alone. In late 2010 the band announced that they were busy recording their fourth studio album which was scheduled for a mid-2011 release date. 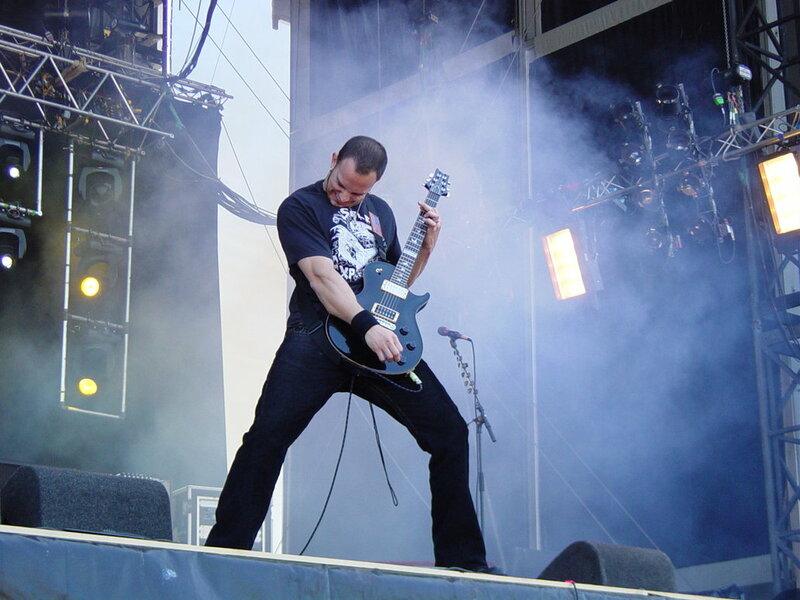 Tyler Connolly later confirmed that the album titled “The Truth Is… would be released on the 12th of July 2011. The first single, “Lowlife” was released on the 17th of May 2011. Musically not too much has changed on their fourth album, but the band had an epiphany when it came to songwriting. The band had more confidence and Tyler was willing to be more open and honest about his feelings than ever before. Tyler thought it would be fun to write a song about a Lowlife, because their fans aren’t people wearing fancy clothing or driving around in the latest cars. Their fans are regular people who like to have a good time and listening to rock music. 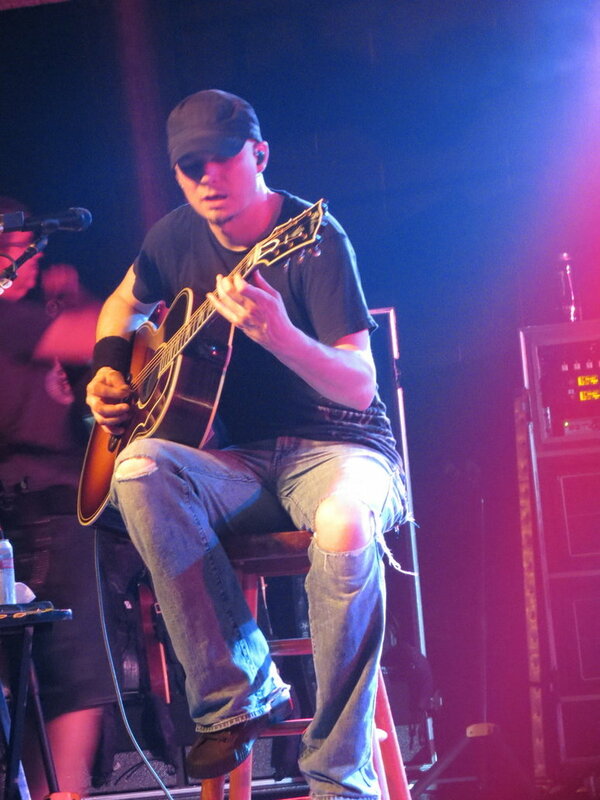 In 2011 Theory of a Deadman co-headlined the second annual Carnival of Madness tour with Alter Bridge. The supporting bands were Black Stone Cherry, Adelitas Way and Emphatic. 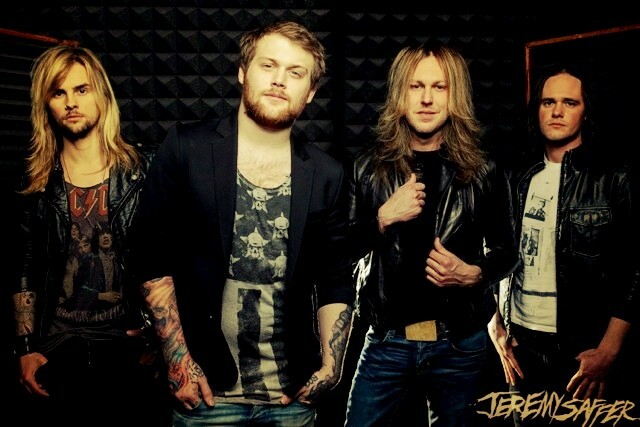 The band contributed a song called “Head Above Water” to the Transformers:Dark of the Moon which was released on the 14th of June 2011. The band’s record label Roadrunner Records made a free download of the song “Drag Me To Hell” available on their website on the 16th of June 2011. The band consists of Tyler Connolly [Lead Vocals, Lead Guitar], David Brenner [Rhythm Guitar], Dean Back [Bass], Joey Dandeneau [Drums]. I’m a fan of Theory of a Deadman’s music, because they are realistic about their goals. They don’t expect to change the world with their music, they just want their fans to love, laugh, cry and share their passion for music along with them. The band compose enjoyable, catchy and honest songs/lyrics which is refreshingly different in today’s music landscape. The long wait is finally over! I have been waiting patiently to rip the music from this album to my library on my laptop. I received the album a week ago and the wait was definitely worth it, just like I expected. I will try to explain my thoughts and my experiences while taking a trip through Apocalyptic Love. First off keep in mind that this album was recorded live and it’s recorded to analog. It has all the mistakes and it has the talking in between the takes. With a guitarist as famous as Slash and a lead singer as popular as Myles you listen to the record differently than you would a band that has played together for a long time. The first time you listen to the album as a whole, then the second time you may pay more attention to the guitar solos and music. The third time you admire Myles’s vocal abilities and the variety that his voice offers to each song. The first thing that I realised while listening to the album was how much attention was paid to the music. The perfect timing of the screaming guitar solos, the drums and the rhythm guitar played by Myles as well as the bass that ties everything together. I believe each song was structured in a way to evoke a certain nostalgia or emotion from the listener. Even though I didn’t grow up listening to classic/80s rock I can still tell there are sections that sound very similiar to the rock bands of the 80s, which I love. In my opnion this album is a modern take on classic rock ‘n roll if that makes any sense. I think this album has reinvented 80’s rock music for the modern audience. I’m writing about modern rock music on my blog, because I believe that in the 21st century we have musicians that are just as talented as musicians in the past. 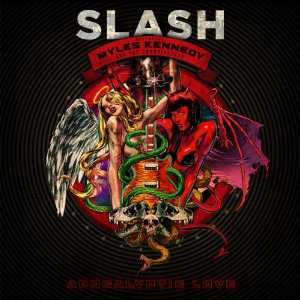 Although I can appreciate a touch of old school here and there, Apocalyptic Love has that combination just right. One of my favourites is One Last Thrill, how Myles pulls that song off without becoming out of breath I don’t know. It just makes you want to dance. Bad Rain is my overall favourite with its feisty lyrics and guitar licks. It teases the listener with slow verses and an anticipating chorus. 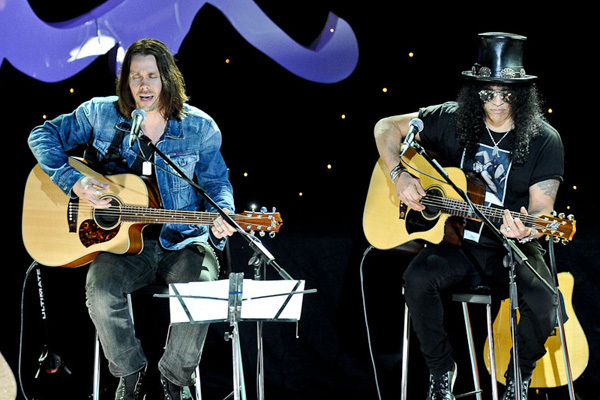 Anastasia starts off with an acoustic guitar and the band behind Slash suddenly enters showing what they are capable of. Anastasia is a straight up rock track which is really enjoyable. Shots Fired builds up into a frenzy of instruments and bites into an angry chorus. So, if you have been salivating to get a taste of some real rock n roll, add this album to your collection you WILL NOT be dissapointed. I feel like I have had a taste of a different brand of rock music and I have to say I like it! 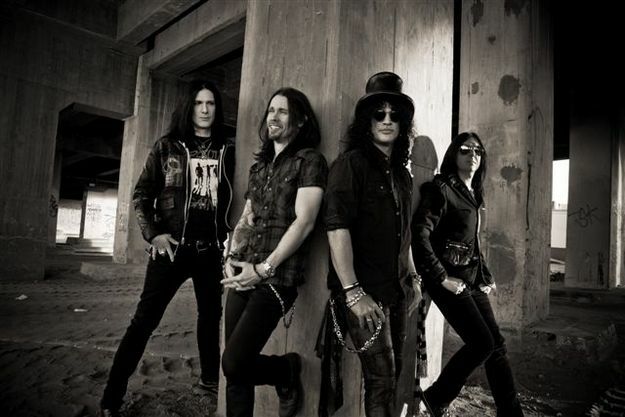 From the many performance I have seen from Slash featuring Myles Kennedy and the Conspirators all of these artists are effortless performers. Myles sings extremely high notes without showing any effort on his face or in his body language. The same goes for Slash who makes playing a guitar look like child’s play. I highly recommend this album to any rock music lover. Congratulations to Slash on his star on the Hollywood Walk of Fame in Hollywood, Calif. What an amazing achievement and the best thing about it is that he deserves it. Well done!